Throughout the guest rooms and common areas of Seven Sea Street Inn, you’ll find artwork of a variety of local artists in an array of different mediums. Each was carefully selected to enhance the beauty and mood of a particular room in the house. 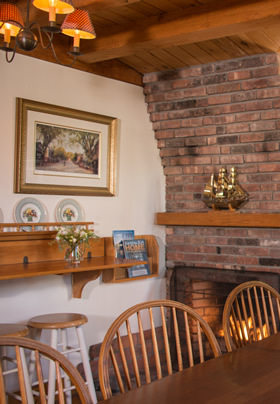 One notable set of artists featured throughout Seven Sea Street Inn is Deb & Doug Sosebee, beloved local artists who own an art studio near the wharf. The pair produces beautiful paintings in both watercolor and oils, reflecting the landscapes, seascapes and architecture that is so true to Nantucket. Besides their own artwork done in watercolor and oils, Sosebee Studio & Fine Art Gallery features the work of more than 15 local and regional artists, all inspired by the beauty of our island. 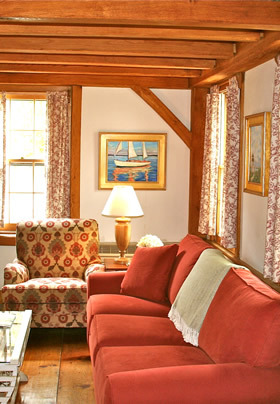 *To see some of the artwork featured at Seven Sea Street Inn, click here.